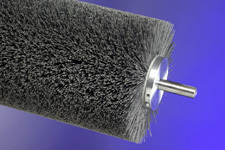 Circuit Board Deburring Brushes | Industrial Brush Company, Inc.
Industrial Brush Company offers a complete line of Metal Finishing Brushes for surface conditioning of a wide range of metal surfaces. 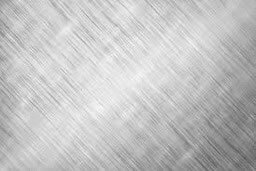 We have over 70 years of experience working with OEM Equipment Builders and End Users supplying brushes to produce various brushed finishes on Aluminum, Brass, Carbon Steel and Stainless Steel sheet products. 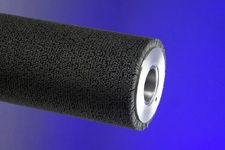 De-burring of drilled sheets and tube ends is also a use for Wide Face Brushes. 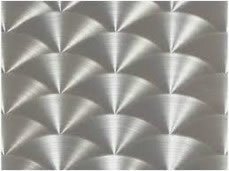 The key is to provide the correct bristle type, bristle length, bristle density and operating parameters to produce the desired result in a repeatable fashion. We can provide that expertise from our knowledge base or create a completely new finish by testing your product in our lab. 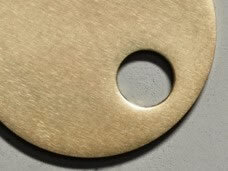 All we ask is to have you provide us with a control sample of your desired finish. 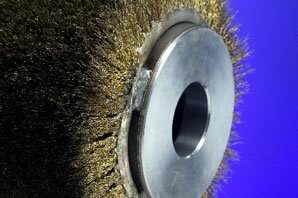 Industrial Brush Company supplies wide faced custom brushes to fit almost any machine. 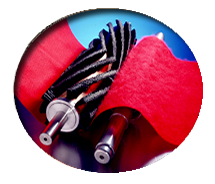 For deeper surface finishes and heavier De-burring, we offer Brushes in High Carbon Steel, Stainless Steel, Brass and Brass Coated Carbon Steel. 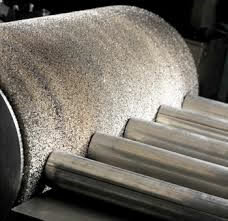 For finer surface finishes and lighter De-burring, we offer Abrasive Brushes in Silicon Carbide, Aluminum Oxide and Ceramic Grits from 1000 grit to 46 grit. Fill out an application sheet or send us your product for testing in our lab. 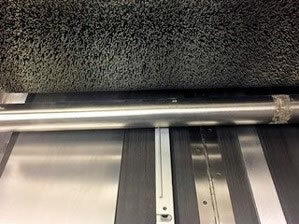 We will provide you with a cost effective solution to your Metal Finishing application.